After over 40 years, Captain Marvel’s origin has been dramatically retcomned. 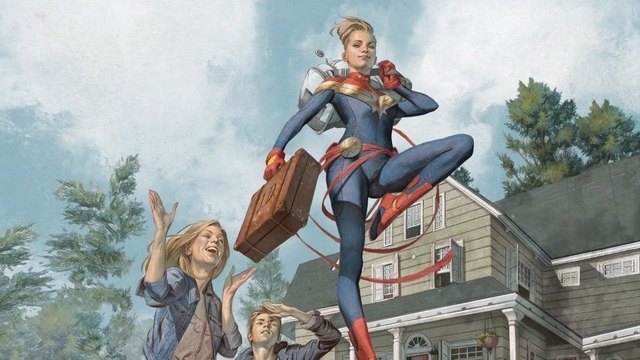 Via The Hollywood Reporter, Marvel Comics changed Carol Danvers’ backstory in Margaret Stohl and Carlos Pacheco’s The Life of Captain Marvel miniseries. In The Life of Captain Marvel #4, it was revealed that Carol’s mother, Marie Danvers, is actually a member of the Kree alien race. This makes Carol a human/Kree hybrid. And according to Marie, Carol’s powers were no accident. “Not borrowed. Not a gift. Not an accident,” were her specific words. Carol had latent powers from birth, and they were only “awakened” in an explosion with the original Captain Marvel. Marie went on to confess that her actual Kree name is Mari-Ell. She also informed Carol that her true Kree name is Car-Ell. This is a big change, and it means that Carol doesn’t owe her powers to the first Captain Marvel or any other man. Previously, Carol Danvers believed that she gained her powers in the Psyche-Magnetron explosion. Several years ago, the original Captain Marvel, Mar-Vell, was caught in an accident with Carol. As a result, Mar-Vell’s DNA was fused with Carol’s. She became half Kree and Carol used her newly acquired powers to assume a heroic role as Ms. Marvel. Carol later used the codenames Binary and Warbird before claiming the Captain Marvel name for herself as a tribute to Mar-Vell. There is some speculation that this new comic book origin will be used in the upcoming Captain Marvel movie. Whether or not that proves to be true won’t be known until the film hits in March 2019. The Life of Captain Marvel #4 is out now in comic stores, and through various digital outlets. What do you think about this newest change to Captain Marvel? Let us know in the comment section below!